In this comparison, we will see if the new Realme 2 is better than other budget offerings already available for purchase in India. 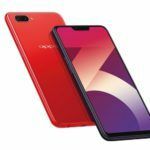 The Realme 2 is the latest offering from the Oppo sub-brand in terms of budget smartphone segment of the Indian market. With a surplus of devices already available for purchase, where does the new phone stand? To answer this question, we have the ultimate budget smartphone comparison for you today. We will be pitting the Realme 2 against Xiaomi’s Redmi Note 5, Honor’s 7C and Oppo’s own A3s to see which offers the most value for your money. The Redmi Note 5 comes both in a 3GB RAM + 32GB storage and a 4GB RAM + 64GB storage option which cost Rs.9,999 and Rs.11,999 respectively. The Honor 7C also comes in the same storage options as the Realme 2 and the Redmi Note 5. At the time of writing, these are available for Rs.9,999 and Rs. 12,999 respectively. If we compare only the common 3GB RAM options of these devices, the Realme 2 is the cheapest while the Oppo A3s is the most expensive. Even with its 77 percent screen-to-body ratio and 5.99-inch panel size, the display of Redmi Note 5 is the best here, thanks to its Full HD+ resolution. The Honor 7C’s screen also has similar measurement and coverage, but only offers an HD+ resolution. With that said both these phones posses aluminium unibody constructions. It’s quite intriguing how the panels of the Realme 2 and Oppo A3s have all their specifications in common. 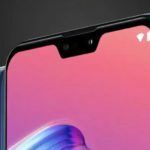 Both are HD+ resolution LCDs measuring 6.2-inches, covering a modest 81.2 percent screen-to-body ratio, and bearing a similarly sized notch at the top. The only change on the exterior is with the rear diamond-cut back of the Realme 2 with the addition of a read-mounted fingerprint sensor. There is no fingerprint scanner on the Oppo handset. 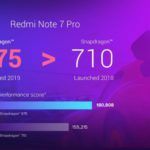 The Redmi Note 5 pro wins again in the performance round as it comes powered by a relatively more powerful Snapdragon 625 chipset also with an octa-core CPU clocked at 2.0GHz. The other three phones come with Snapdragon 450 SoC’s onboard that can only clock as high as 1.8GHz. The camera section is where it is difficult to pick a clear winner. The Realme 2, Oppo A3s and Honor 7C come with the exact same 13MP + 2MP setups at their back, with an 8MP sensor provided for selfies. With that said, the Redmi Note 5 certainly lags behind as it offers a single 12MP rear camera paired with a 5MP selfie shooter. 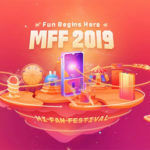 Both the Realme 2 and Oppo A3s again offer the same capacity battery that measures 4230mAh. This is the largest size here with the Redmi Note 5 coming in at a close second with its 4000mAh cell. The Honor 7C falls behind with its 3000mAh battery. 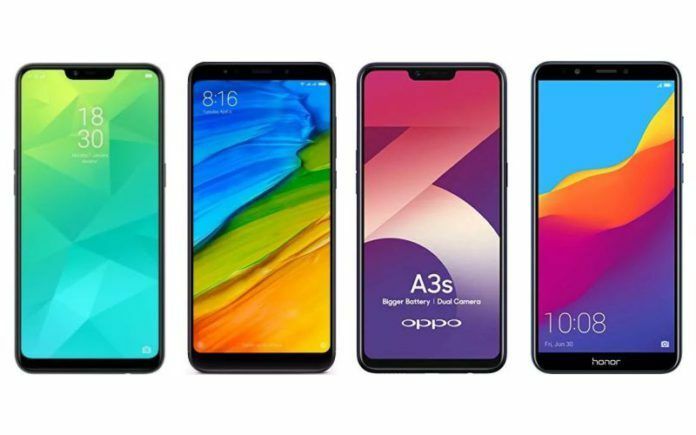 Realme 2 vs Xiaomi Redmi Note 5 vs Oppo A3s vs Honor 7C: Which Is Better? It is evident that the Realme 2 is a just a recycled Oppo A3s with a new exterior and added fingerprint scanner at a lower price tag. In that way, the Oppo A3s becomes a pointless purchase. 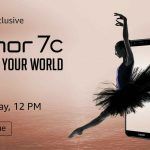 The Honor 7C is the most expensive phone here and offers no incentives, whatsoever. This phone should also be passed up. If you are willing to give up on the camera for a marginally better processor and superior resolution, then at just Rs. 1,000 more you can go with the Redmi Note 5. However, if you do decide to save that money and go with the Realme 2, you will certainly be satisfied with its better battery, aesthetics and camera.